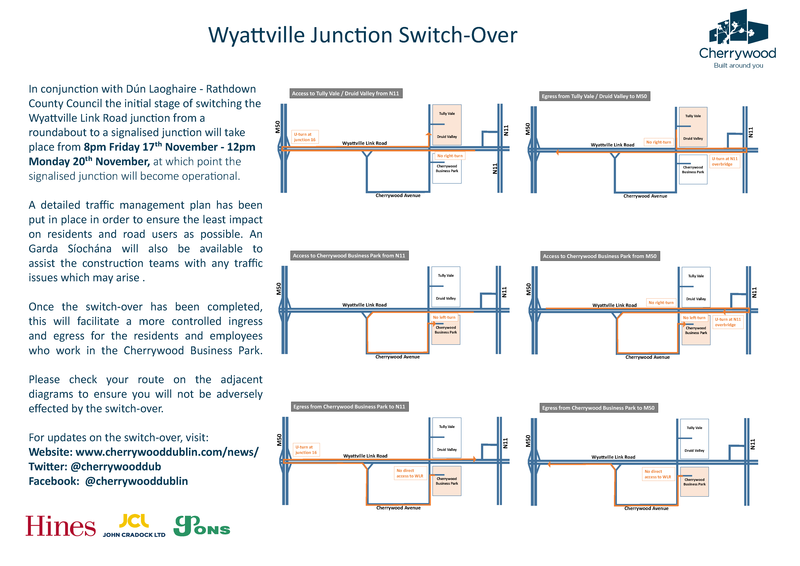 In conjunction with Dún Laoghaire – Rathdown County Council the initial stage of switching the Wyattville Link Road junction from a roundabout to a signalised junction will take place from 8pm Friday 17th November – 12pm Monday 20th November, at which point the signalised junction will become operational. A detailed traffic management plan has been put in place in order to ensure the least impact on residents and road users as possible. An Garda Síochána will also be available to assist the construction teams with any traffic issues which may arise .